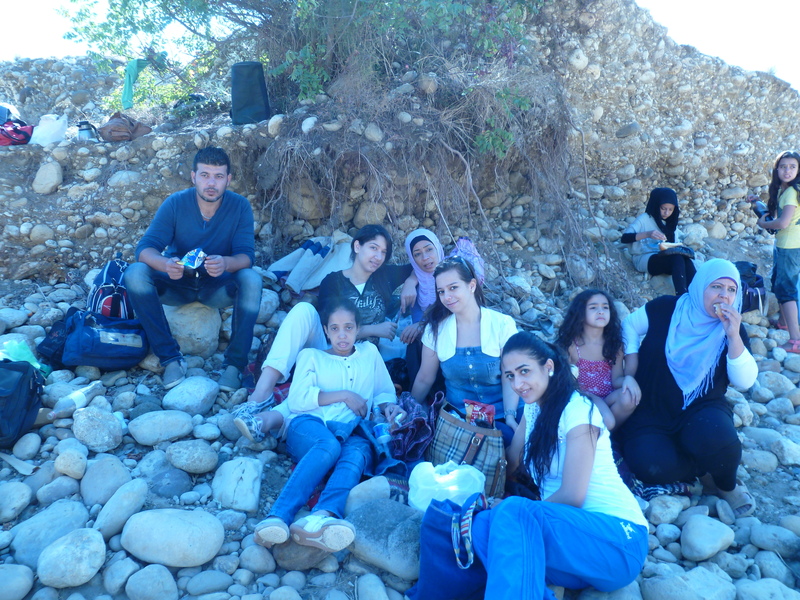 A Day of Fun by the River for Shatila Children! 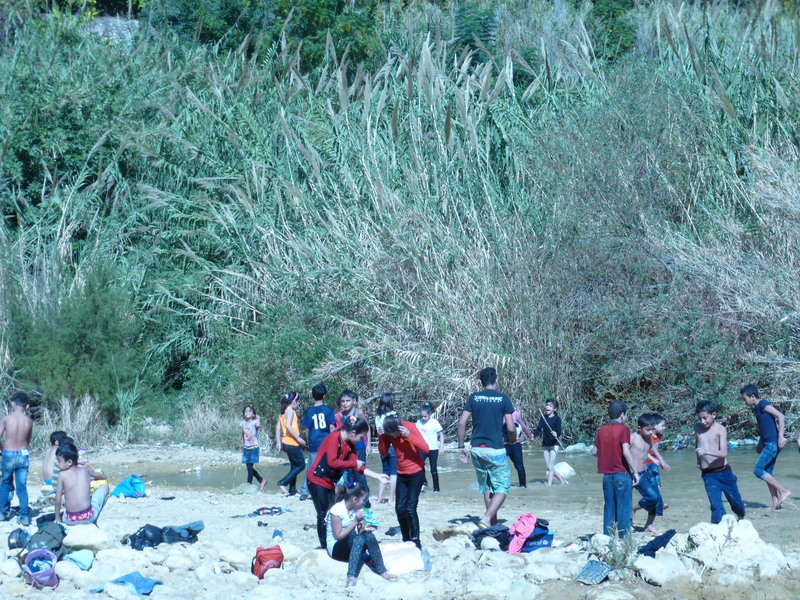 Last Friday, about 75 refugee children from Shatila, accompanied by CYC staff and several youth volunteers, went on a field-trip to a river in the town of Damour, about 20 kilometers south of Shatila. The outing’s activities included picnicking, football matches, singing and dancing, and of course lots of splashing and playing in the water. 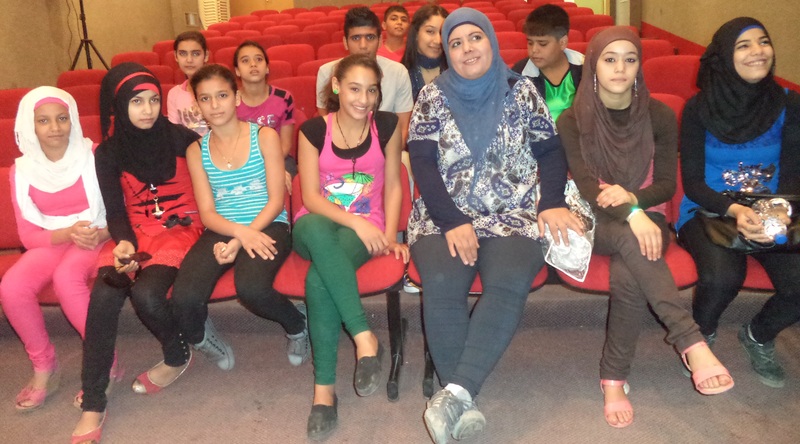 The field-trip served an important purpose, affording Syrian and Palestinian refugee children a needed release from the oppressions of camp-life—a fulfilling day of recreation in a natural setting far removed from the streets of Shatila. Everyone enjoyed the chance to spend the hot day swimming in and relaxing by the water, children and staff alike! 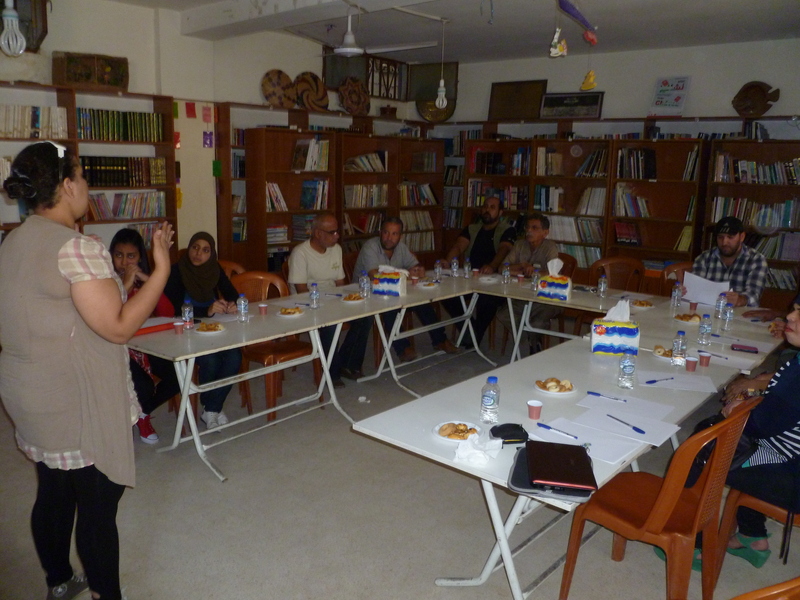 On October 11, 14 Shatila youth traveled to the town of Saida to take part in a day-long workshop, which sought to impart the values and organizing practices of advocacy campaigns—coordinated efforts to improve the conditions of those whose voices are neglected. The training was part of the Child Rights Governance (CRG) project, a collaboration between CYC and Nabaa and funded by Save The Children International (SCI). 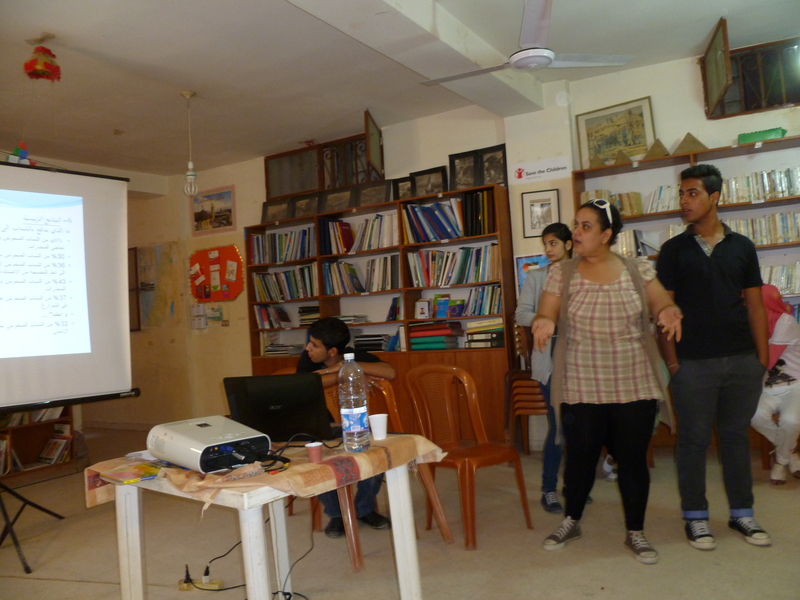 The workshop was led by Samir Sherari, with the help of Farah and Nisreen from CYC, and included a wide array of activities. At the beginning, the training focused on defining terms and laying out techniques for producing initiatives within vulnerable populations that successfully highlight their mistreatment and result in positive reforms. Such activism could span the realms of law, politics, education, family-life, and civil society. The workshop featured active participation from the young attendees, who reflected on the main problems they face in their lives, and brainstormed creative ways of addressing them. Breaking into groups, the youth developed comprehensive plans for tackling social injustices in their communities, such as the prevalence of environmental blights (e.g. undrinkable water, dangerous electrical wires, garbage in the streets), insufficient educational opportunities, and the spread of violence. 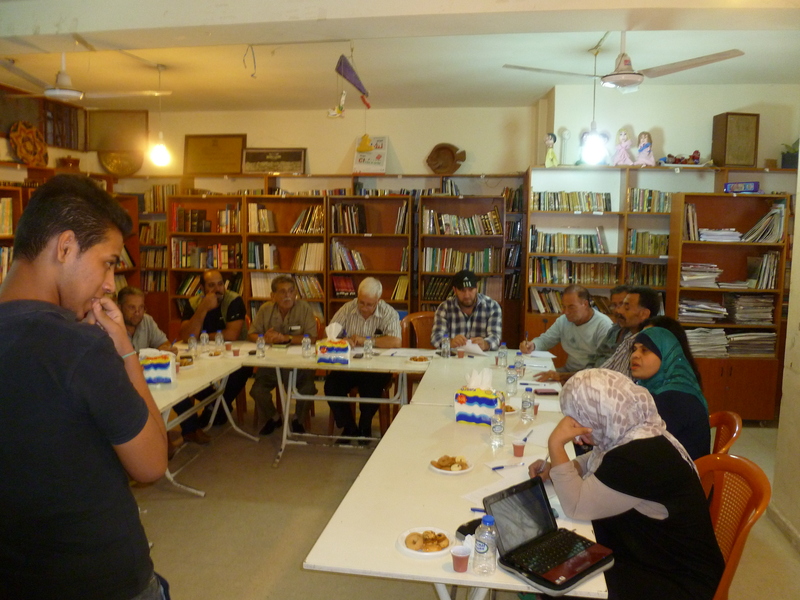 The groups thought hard about how to utilize the means at their disposal, including available technology, the resources of local groups like the camp’s Popular Committee, and the cooperation of members of their community. 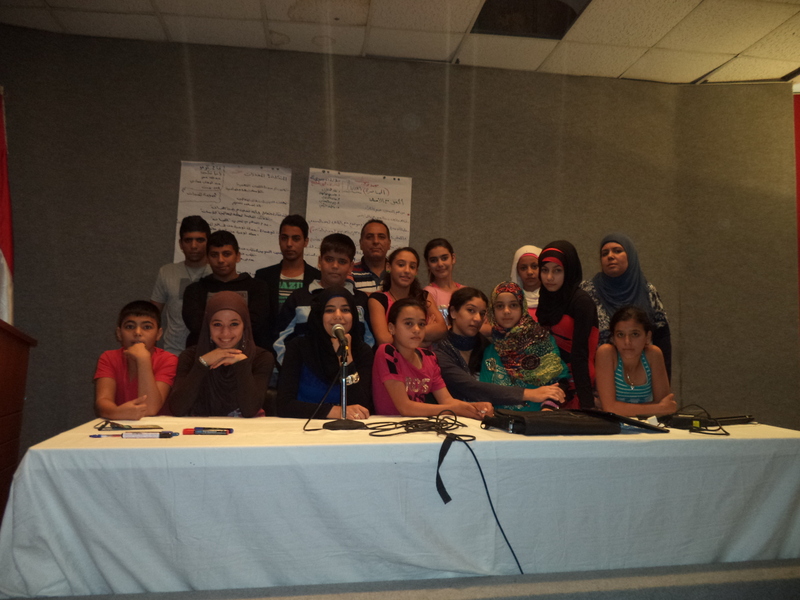 The workshop brought out the best of these Shatila youth, as they harnessed their creative energies for the task of advancing justice in their communities. Now equipped with many of the tools crucial to achieving this goal, we can expect great things from this next generation of leaders. When the workshop ended, everyone expressed their wish for a second one. Commencing before sunrise today, the festivities and traditions of the Eid al-Adha holiday brought together the Shatila community . 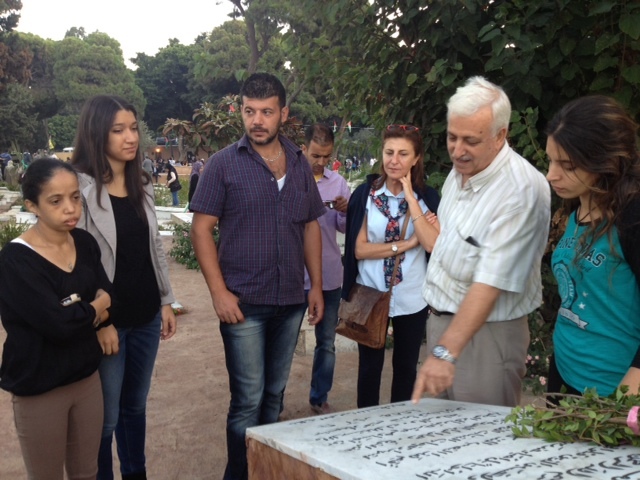 CYC staff, with friends and family, joined others at the crack of dawn to visit local Palestinian cemeteries, where thousands commemorated the lives of loved-ones. Following these visits, the center hosted a breakfast, assembling a large group of CYC affiliates to share plates of food and words of warmth. With full stomachs, many from this same group proceeded to walk through the camp, exchanging holiday greetings with whomever they crossed paths with and visiting countless families in their homes. Such is the spirit of the holiday—a time of togetherness and a celebration of life past and present. 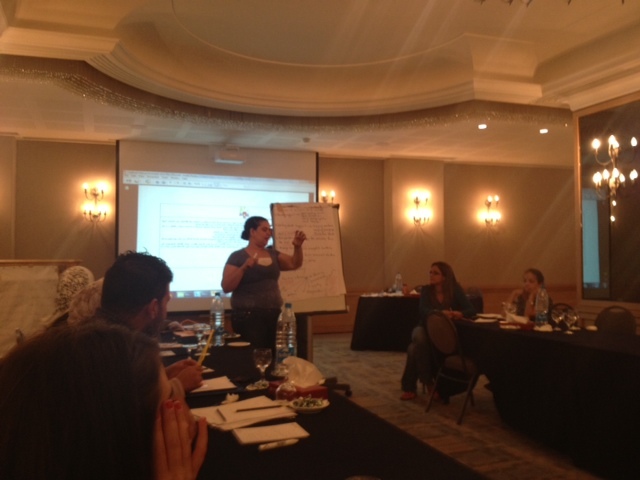 On Saturday, October 12, ten members of CYC’s staff participated in the second of three day-long training sessions, organized by Save the Children International, aimed at building the capacities of teachers, social workers, and recreational leaders and increasing the reach and impact of educational, social, and recreational initiatives in Palestinian refugee camps in Lebanon. 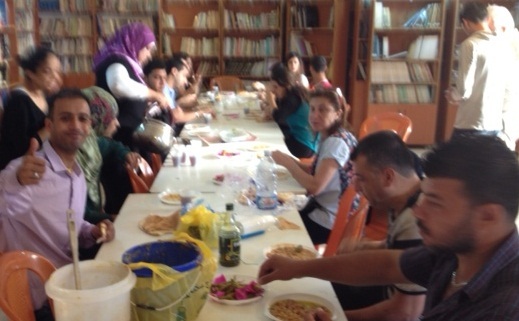 The workshop served an especially important purpose in light of the changing demographics of many Lebanese refugee camps in the midst of the humanitarian crisis that has already sent over one million Syrians across Lebanon’s borders. Now, many camps are populated by increasing numbers of Syrian children, who have been out of school for a year if not more. Ensuring that the needs of all children are being correctly diagnosed and successfully met in these new classroom environments is a pressing issue and an one that was discussed and assessed with nuance during the workshop. The day’s program was dynamic and interactive, as attendees repeatedly broke into groups to practice different lesson plans and teaching techniques geared toward capturing the attentions of young learners in creative ways. 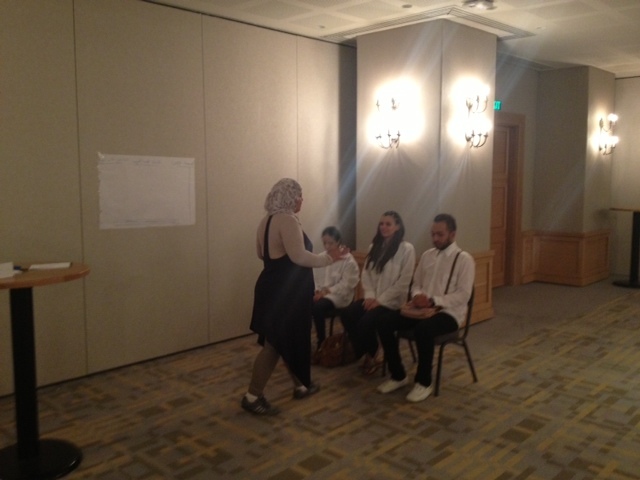 One group, depicted above, performed a short skit, which humorously explored cooperative and hands-on approaches to reading. The day was truly inspiring, with a range of contributions and perspectives offered by teachers, librarians, social workers, recreational leaders, and education specialists. It was, indeed, a day of learning for all involved. CYC expressed its sincere gratitude for the dedication of SCI and UNICEF to this important cause. 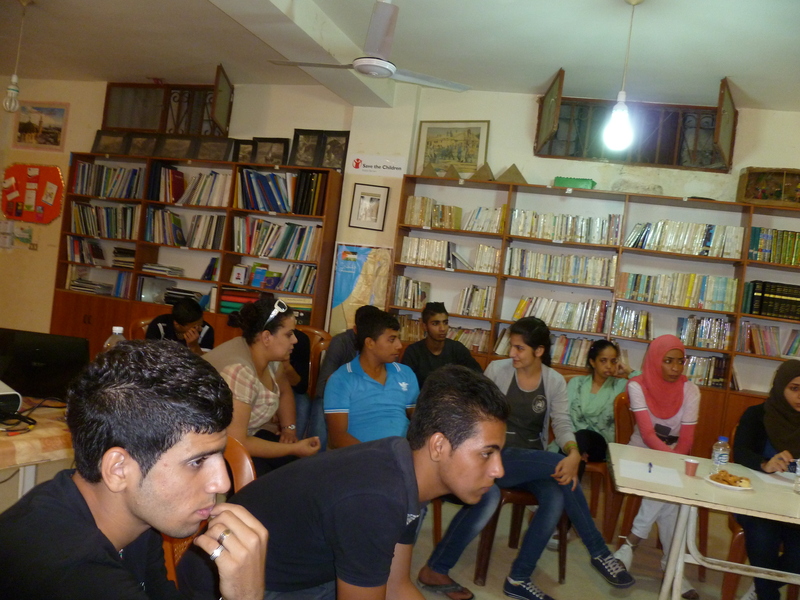 Members of the Shatila community—including NGO representatives, political leaders, officials from the Popular Committee, and concerned parents—gathered in CYC’s library on the afternoon of Wednesday, October 9 to listen to a presentation on the findings of a comprehensive survey, which asked 350 Shatila youth about the prevalence of drug-use in their environment, economic insecurity in their homes, and other questions probing the detrimental elements in their lives in the camp. Following a meticulous powerpoint presentation, replete with detailed statistics and extensive interpretations, delivered by CYC staff and youth volunteers, a conversation opened up among those in attendance, including a contingent of youth from the camp that had helped collect data for the project. This diverse group engaged vigorously with the issues raised in the presentation, with active participation from youth and adults alike. The discussion ultimately centered on the problem of drug-use in the camp. 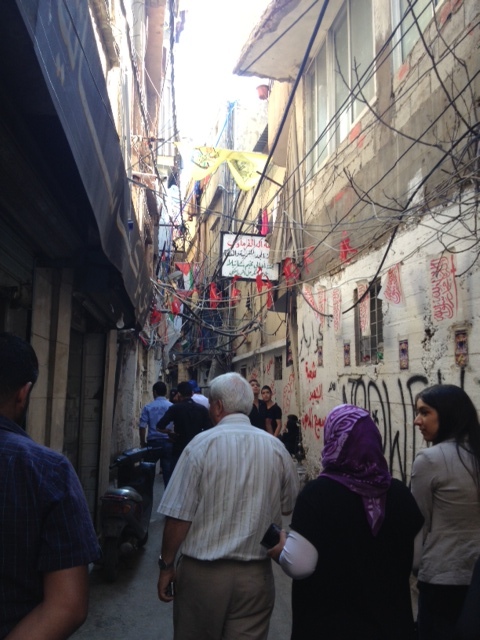 While those in attendance acknowledged that this issue was a global one, and thus difficult to address solely in the confines of Shatila, they also recognized the importance of making strides within the camp to limit its harm. The group talked about the problem with a measured tone and avoided extremes, making clear that local drug dealers were best dealt with not as criminals deserving of total scorn but as misguided individuals needing rehabilitation. Many agreed that drug-use had a negative impact on social and political participation and from this point the conversation transitioned to the topic of empowering a new generation of youth to take up the task of agitating for the rights of their people. In this vein, those in attendance advocated the establishment of a youth committee that would work with the camp’s Popular Committee, to ensure both that the voices of youth were involved in democratic decision-making in the camp and that these same voices remained active into the future. 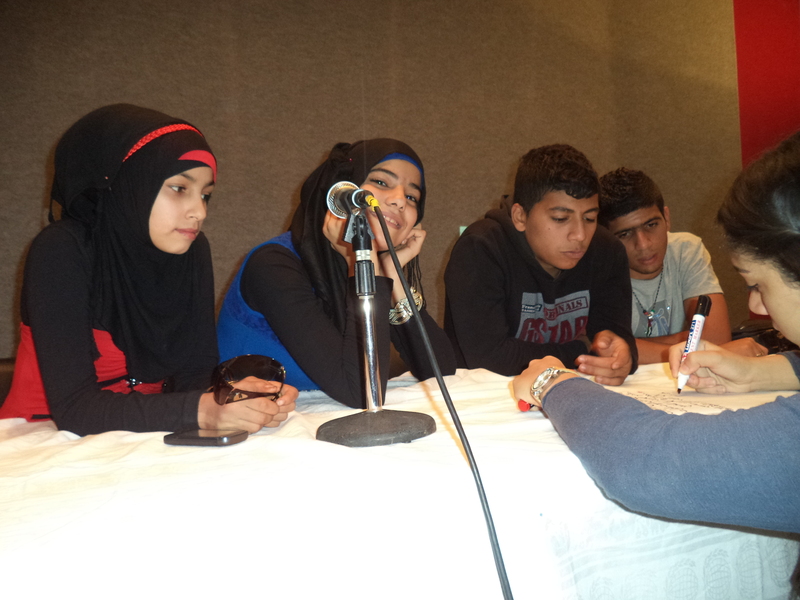 Shatila youth discuss the array of social problems affecting their lives, from the spread of drug-use in the camp to specific issues in their homes. 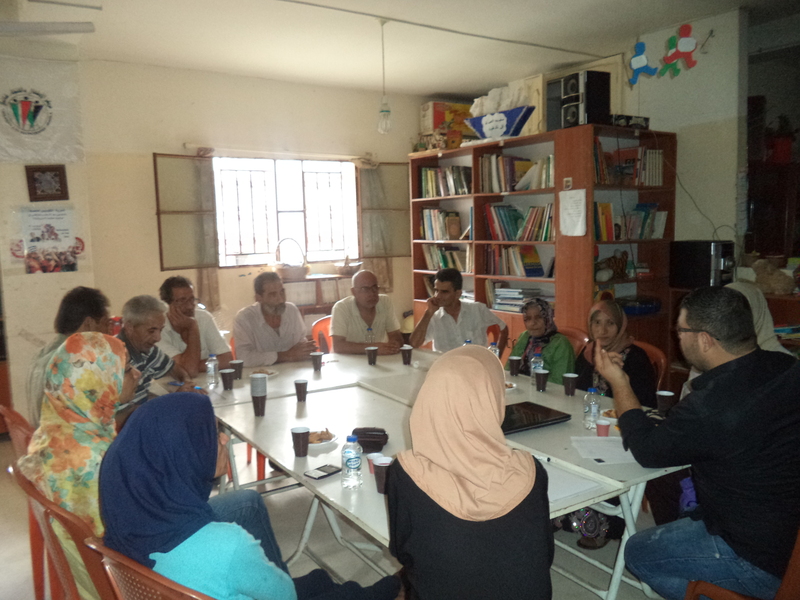 Parents of Shatila youth hold their own conversation about what they perceive as the negative elements hindering the growth of their children. Children, newly arrived from Syria, make use of CYC’s library for fun and enriching activities like reading and drawing. Children, eager to show off their books, pose for the camera.